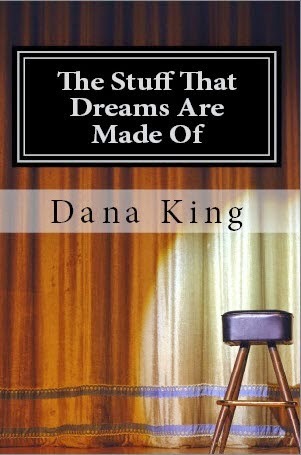 The Stuff That Dreams Are Made Of, by Detectives Beyond Borders friend Dana King, is a tribute to The Maltese Falcon through and through, from its title, to one of its plot strands, to explicit references to Hammett's novel and the Bogart-Astor movie version. That's pretty high-concept, or at least it would be had King not made a compelling, even touching story out of it. King obviously loves The Maltese Falcon (Raymond Chandler, too), mid-century hard-boiled stories, their moral urgency, and their cultural legacy, and there is nothing jokey or campy about the tributes. He doesn't hammer home the Falconisms, either, instead just bringing them in when they advance the story. And the tributes themselves are delightful, and delightfully clever, going beyond obvious plot parallels, famous lines, and explicit mentions and extending to appropriation of speech patterns, in some cases. I'll refrain from giving examples, so you can have the pleasure of discovering them yourself. It's a kind of authorial magic that The Stuff That Dreams Are Made Of works as a tribute and as a story, and that neither aspect interferes in the least with the other. Thank you, Peter, for further expanding my "bucket list" of books to read; you will note that I have added DK's newest to my "bucket list" at Crimes and Detectives, Inc. I hope you stop by now and then to participate in the conversations . . .
Nice. I am still reading his A Small Sacrifice so am a bit put out that I will still be behind when I finish. And I suppose I should actually read The Maltese Falcon first too. R.T,, this book is good fun. A lot of Hammett and Chandler tributes are mere pastiche, or, worse, random, throwaway lines that do nothing to move the story along. I can imagine this book finding its way into a class on writing crime fiction as an example of how to pay tribute to one's predecessors while at the same time writing a story that can stand on its own. It's an impressive accomplishment. Seana, hace you not read The Maltese Falcon? When is your birthday? I haven't. But not having the book isn't the problem. I can tell you that it's worth the reading. What I'l, unsure of is whether it or Get Carter/Jack;s Return Home is the best example of a crime movie that lived up to the novel from which it was taken. Have you read the serialized, Black Mask version of TMF or the book version? I've read the latter, and I'm poised to read the former, so I do not know if there are differences. I've read both. If I recall correct, the serialized version is available in one of Otto Penzler's "Big Book Of ... " anthologies. There were apparently 2.000 or so changes from serial novel, but I think most were minor, eliminating continuity that would have been superfluous in publication of the entire story between one set of covers. I HAVE seen the movie, which is probably why I've been lackadaisical about reading the book. I would probably feel the same way about Get Carter, which I've also seen. It sounds interesting. Thanks for the review. Third time lucky? John Huston's "The Maltese Falcon" was the third time Hollywood made a film based on Dashiell Hammett's classic crime story. I like what Huston had to say about remakes. He said that film makers ought to remake failures, not try to remake successful films of the past. In his case, it worked. Future film makers should look at why it was successful. Huston said great directing is in the casting. Although Bogart was no "Blonde Satan," as Hammett called Sam Spade, he and the other actors were great. But the main reason the film was successful, in my view, was that Huston was fathful to Hammett's novel. He used huge chunks of Hammett's dialogue from the novel in the film. And it worked. One thing about film remakes; even if the remake is bad, it sends younger people who never heard of the original film to see it, and it can make older people revisit the old film. It can also send film viewers to the novel that the original film and the remake were based on. To me, "The Maltese Falcon" is a film that I can watch again and again over the years. I reread Hammett's novel every couple of years as well. Fred, the story can stand on its own, and it can appeal to readers who know the Maltese Falcon, whatever the depth of their knowledge. Seana, the Bogart-Astor-Lorre-Greenstreet movie adaptation pf "The Maltese Falcon" sticks more closely to its novel source than does the "Get Carter" adaptation, but both books and both movies are worth the effort. Huston duplicated a number of camera set-ups from Roy Del Ruth's 1931 movie which, coming as it did before the Production Code, is also much for forthright on the story's sexual aspects than Huston's version is. An interesting comment, that filmmakers should remake failures rather than successes.